Welcome! IRAs (individual retirement accounts) offer a great way to save for retirement beyond your 401(k)s. While it's a complicated subject, we're giving you a primer to help you understand what the differences are and how to think about and use IRAs in different situations. You may have missed our recent series on retirement. 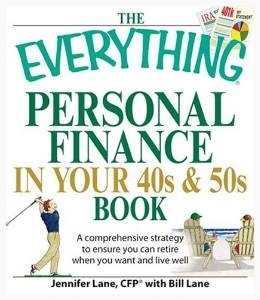 For Retirement, Part 1 - Retirement Savings, click here. For Retirement, Part 2 - Social Security, click here. For Retirement, Part 3 - The Retirement Paycheck, click here. Take advantage of saving for retirement with IRAs! If you need assistance, we are here to help you stay On Course! Traditional IRA: When you contribute, you may receive a tax deduction but will owe income tax on your contributions and investment earnings when you withdraw the money later in life. Roth IRA: You do not receive a tax deduction for the contributions but will withdraw from your account income tax free later on. You must meet income limits to be eligible to contribute to a Roth IRA. If you think you will face a higher tax rate when you withdraw your money from these accounts later in life, you are better off doing a Roth IRA contribution if you are eligible. Predicting future tax rates is next to impossible, so you have to go with the best assumptions you have today. In 2019 the limit is $6,000, and you have until April 15, 2020 to make a 2019 contribution. An additional $1,000 contribution is allowed if you are 50 or over. If you haven't made a 2018 contribution, you have until April 15, 2019 to make one! Should your kids put money into a traditional or Roth IRA? If your son or daughter has earned income from a job (not allowance), it would be wise to put that money away. Typically, for kids, a Roth IRA makes the most sense. Contribute 100 percent of earned income or $6,000, whichever is less for 2019. Use this opportunity to teach your kids about saving money! The sooner you start putting money away, the more time it will have to grow! You have a big, full time job with, hopefully, a fleet of benefits, including an employer-sponsored retirement plan, i.e., 401(k) or 403(b). Make your best effort to get the full employer match if offered. Think of it as free money! Any extra money? Then consider making a traditional or Roth IRA contribution -- or more into the 401(k). The ideal situation is to be in a place where you and your spouse are both maxing out your 401(k) or 403(b) with additional money to save. Depending on cash flow and short-term goals, you can put the extra savings into a traditional or Roth IRA. When you reach this point in life, it is crucial to maximize savings in the right places, which requires more sophisticated planning. You might consider non-deductible traditional IRA contributions or back-door Roth IRA contributions. Work with your financial planner to hone in on where to direct your savings! Q. I'm overwhelmed by the number of options and exceptions involved with individual retirement accounts. What should I do? A: Josephine, you should speak with an independent financial planner who specializes in helping people choose investment for themselves, rather than an advisor who sells or manages investments. Check www.napfa.org or www.letsmakeaplan.org for a fee-only advisor in your area. 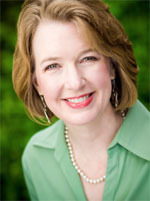 Below are links to Jennifer's frequent contributions to financial planning articles. The New York Times featured Jennifer in an article titled, "Balanced Funds Don't Inspire Fear or Greed. That's Why They Are So Useful." Click here to read the article. With a contrarian view, Jennifer contributed to an article, "People are enraged by the idea that you should have twice your salary saved by the time you're 35!" published recently by Business Insider. Click here to read the article. Moving in together? Click here for the article from Business Insider, "Five questions you and your partner should answer before taking the biggest step in your relationship." Insider asked Jennifer to contribute to an article on old fashioned ways to manage your money, "Six money-saving tips your grandma used that are way more effective than any budgeting app." Click here for the article. Jennifer contributed to an article on Business Insider. Click here to read "This is the best way to do your taxes online - according to experts." CNN Money's Money Moves featured Jennifer in an article on how to strike the right balance between retiring early and saving enough. Click here to read the article. Jennifer contributed to a CNN Money article "When is the Right Time to See a Financial Advisor?" Click here to read the article. Jennifer contributed to The Wall Street Journal article "The Biggest Money Mistakes We Make -- Decade by Decade." Click here to read the article. Jennifer and Sarah were both named 2019 Boston Five Star Wealth Managers. AdvisoryHQ named Compass Planning as one of the ten best Boston financial advisors. Jennifer recently answered NECN viewer questions about 529 College Savings Plans. Click here to watch the segment on her blog. Jennifer appears on NECN every other Monday morning at 9:30 am in addition to her Tuesday 7:30 pm appearance. Compass Planning Associates helps families, individuals, and small-business clients achieve financial security, knowledge, and control over their money. Our fee-only, client-centered approach provides education and guidance for achieving financial goals and dreams. Be careful when contributing to, moving, or making withdrawals from your IRA accounts. Tax penalties can be steep if you make a mistake. Get advice in writing from your accountant, CPA, or financial planner. Many people ignore their insurance once they have moved into their home or bought their car until they make a claim. Insurance coverage is worth an annual review and these viewers have questions. Just a month left in tax season and these viewers have questions about their special IRAs. These viewers have questions on 529 college savings plans. Welcome! Tax filing deadline is right around the corner. Tax payers in Massachusetts and Maine will have until Wednesday, April 17 to file their 2018 taxes; the deadline for everyone else is Monday April 15, 2019. By now, tax documents should be trickling in (either online or in the mail). Here are some tips as you gear up to file your taxes! If you missed the October On Course where we discussed tax planning under the new tax law, click here. Good luck with your tax filing! If you need assistance, we are here to help you stay On Course! Tax Prep - Make sure you have everything you need to file your taxes! Gather all of the tax reporting forms you have been sent. If you have your 2017 taxes handy, double check against the forms you have to make sure you are not missing anything. Many organizations now post them online to your account instead of mailing them to you. Click here and here for two different checklists that are pretty comprehensive. Tax Preparation - Give it a try on your own! Consider preparing your own tax return. Turbo Tax, TaxAct, TaxSlayer, and H&R Block are great options to prepare your own return. If you feel more comfortable having a professional prepare your return, turn to a CPA or enrolled agent. If you don't have a tax pro, ask for a referral from a trusted source. Even if you have a tax pro prepare your return, try running your information through online tax software as a double check. The software options may ask you more questions than the tax pro! For Massachusetts and Maine residents, the deadline is April 17, 2019. For all others, it's April 15, 2019. You can e-file your return through tax software or your tax pro. If you aren't going to be ready to file by April 15, then make sure you file an extension. Remember that you need to pay the tax liability of money you expect to owe by April 15 but have until October 15 to file the return. You have until April 15, 2019 to make a 2018 contribution! IRA contribution limits for 2018 are $5,500 and an extra $1,000 if you are over 50. If you plan to make a Roth IRA contribution, check to make sure you are under the income limits. Click here for the IRS explanation of Roth IRA contributions. Q: The tax preparation service I use will charge me $500 this year. Can I use an online service? A: Charlie, you need to understand what you're getting with each option. If you have a straightforward situation and understand how the taxes work, then an online service will probably be fine. If you have tax situations with which you're unfamiliar, then it may make more sense to have a tax preparer do them. In some cases, preparers can save you money by finding deductions you missed. Jennifer recently answered NECN viewer questions about Social Security benefits. Click here to watch the segment on her blog. Don't forget to file IRS form 8606 when you make nondeductible contributions to your IRA. When you retire, you or your heirs will be able to prove how much of your IRA balance is the money that you contributed after tax and is available to withdraw without additional tax and how much is investment growth and is taxable income on withdrawal. The spring housing market is upon us an these viewers have questions. This is the first time we're filing taxes under the new rules and these viewers have questions. We have just about 2 months until the first tax returns under the tax law are due. These viewers have questions. The Social Security 2100 Act was introduced in the House and Senate last week. These viewers have questions about their Social Security benefits.